As previously announced, Boots Riley and Tom Morello are set to release their years-in-the-making collaboration. 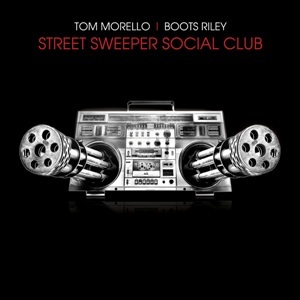 Set for release on June 16 via Warner Group’s Independent Label Group (the same distributor that handles Rhymesayers’ releases), Street Sweeper Social Club combines Boots’ socialist satire with Morello’s energy blasts. Stanton Moore, drummer for Galactic, lends an assist on the duo’s hard funk-rock. The duo kicked off its tour opening for Nine Inch Nails & Jane’s Addiction earlier this month. The itinerary runs until the end of June. This entry was posted in News and tagged Boots Riley, ILG, Street Sweeper, Tom Morello. Bookmark the permalink.